The digital era has, as we all know, greatly benefitted the world in many ways. The way businesses work has been transformed by the technological changes we have seen over the past two decades, in particular. However, these transformations have not come without negative side-effects. With mass connectivity has come a number of dangers, dangers of which businesses large and small must be acutely aware. Aside from the ever-present threat of network attacks, among the biggest threats facing companies’ IT infrastructure and data is that of malware. According to the AV-Test Institute, over 350,000 new malicious programs are registered every single day, and that number is rising every year. In 2018, the number of malware and PUA (potentially unwanted applications) registered was in excess of 812.99 million. Though most malware target indiscriminately, having been developed and delivered with the aim of reaching the highest possible number of devices, others are deliberately aimed at a specific enterprise, for a specific purpose. The principal ways that malware infiltrates a company are via email, web download, or via an infected removable device. The level of damage that can be done by a single piece of malware should not be underestimated. Unless properly detected and neutralised, the effects can be catastrophic. Some attacks will be immediately visible, with computer crashes and production downtime. However, other attacks are more insidious, creeping in beneath the surface, spreading and causing harm for long periods before they are even detected. Either way, the effects are magnified if and when news of the attack reaches customers, partners or the public. As detrimental to business operations such an attack may be, this is nothing compared to the ruinous consequences of loss of reputation. Compounding the damage that reputational loss can have upon an enterprise, the legal ramifications of a cyber security breach are devastating. Individuals within the enterprise, often IT and company managers, may be forced to assume liability for the attack, with consequences ranging from fines (including compensation) to prison sentences for negligence. At the very least, these individuals may be fired or forced to resign. Further legal consequences may include claims against the company for intellectual property or copyright infringement, refusal of insurance policies or claims, investigation by the Data Inspectorate and negative ratings from investors or banks. In serious cases, businesses have had their business licence revoked. Even excluding these potential major consequences, damage to systems and production downtime as a result of a cyber attack is costly and time-consuming. This is why it is so vital for enterprises of all kinds to ensure that they have thorough protection in place. 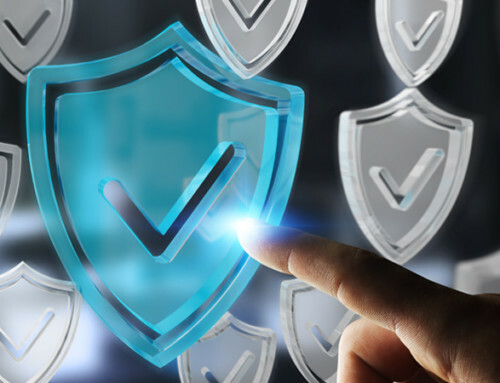 There are seemingly endless anti-malware vendors on the market, which makes it somewhat difficult for companies to decide which offers the best solution for their needs.